LaGuardia Airport Hotel with shuttle service. 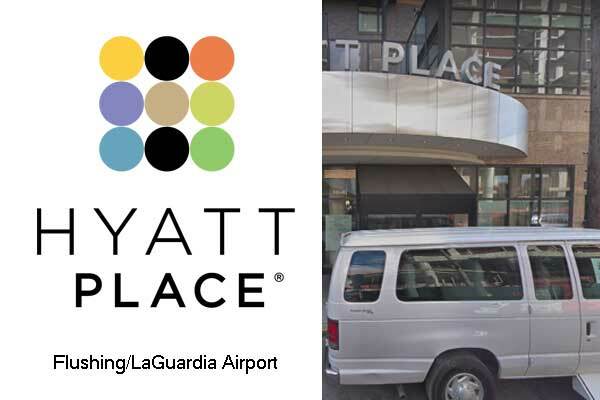 Hyatt Place Flushing/LaGuardia Airport parking garage offers valet and covered parking at lowest LGA parking rates (Minimum 1 day booking required). Hotel + Transportation + car parking lot near LGA, located just 6-7 minutes drive from LGA Airport (3.1 mi) via Roosevelt Ave and Grand Central Pkwy. At way.com online rates for covered valet parking starting From : $9.95/day. 133-42 39th Avenue, Flushing, New York, NY 11354, United States.